No one can deny that fact that the PUBG has emerged as a revolution in the world of the online multiplayer game. The fever of this game has been taken into consideration the love of the entire young generation. The unique idea of this online is the sole reason behind its spectacular popularity. The value of pubg especially in the life of males is needless of any specification. Before people use to call their mates to come online on WhatsApp now the PUBG is the irreplaceable essence of their happiness. Nowadays the folks are following the mobile-based application of PUBG. But every PUBG lover out there do you know that the at the time of the launching of this release pubg targeted computer sets only. 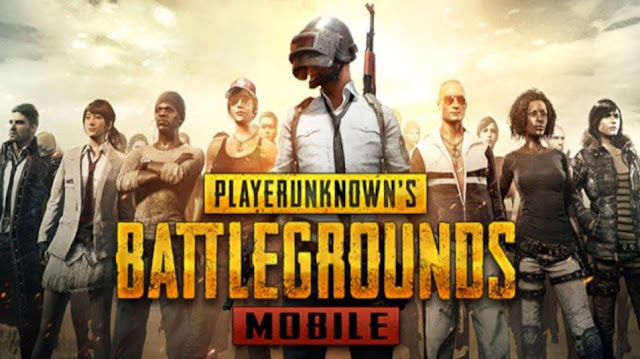 After earning the reliable trust of the whole human race the makers of PUBG decided to come forward with the mobile-oriented application of PUBG. Yes, you are making the accurate guess today we are going to talk about the procedure of playing PUBG MOBILE on PC.So let us start with the perfect description. Foremost if you are thinking that it is quite hard to play mobile PUBG on your pc than wait a while as you are wrong here. It sets on a go. Take a view on the following details to grab the exact end of your curiosity. There are several options for this. Download Tencent buddy it is one of the best way to play PUBG MOBILE on PC login with your details. Wait for the official interface. But before downloading Tencent buddy make sure that your pc is having at least 3GB RAM otherwise, this application won't function at all. This is one of the most preferable emulators for PUBG. You need to worry about the pixel quality of your game as recent buddy believes in me, maintaining excellent video quality. Adjust all initial settings as per your storage or requirement. The first step is to download the PUBG apk file on your computer. Launch PUBG in BlueStacks and then login your account. Now click on the engine and open it. It's done here now you can enjoy the mobile-based interface of PUBG on your computer. This is time to share with you the third tool which is available to resolve your problem of playing PUBG mobile on your computer. Afterwards, drag the apk file into nox and select it for installing the nox app player. You have completed your task now get ready to play the PUBG mobile on your computer. The fourth astonishing tool for playing PUBG mobile on your pc is ApowerMirror. Initiate the connection between your mobile and computer. If you are making use of android then you can establish the connection through wifi or USB cable. Both options are effortless. As soon as you will attain the connection your interface will start appearing on your personal computer. Set all the required details. Make use of mobile or keyboard for guarding a terrific start of your favourite battle. That's all start making your new record of victory with this unmatchable tool. The first thing is the download and installs Memu App Player on your computer system. Now install the apk file of the PUBG if you are not able to see if you have to download it on your pc. Now enjoy your battle of PUBG. More than that you can also play the PUBG mobile on your computer by installing remix os in the form of the secondary os on your pc. We hope that now you are having complete idea for playing pubg mobile on your computer. Have fun and keep your PUBG game on. All the best.